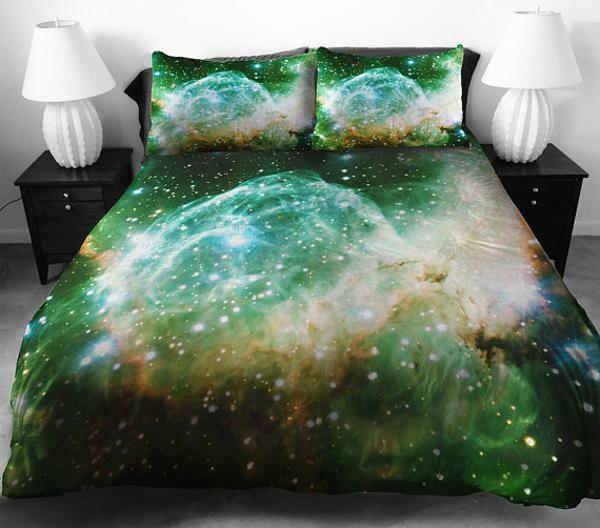 Cosmos themed decor for bedroom is a wonderful idea. Unique bedding sets make perfect gifts for kids and adults who dream of mysterious planets and cosmic adventures. Beautiful, colorful and interesting bedding fabric prints inspired by the cosmic theme are a great addition to cosmos themed decor for any bedroom. Decor4all presents fabulous bedding sets created by artist Jail Betray and inspired by mysterious and intriguing cosmos, planets, stars and spaceship voyages. These bedding sets create a fantastic atmosphere and spice up modern bedroom decor with the amazing decor theme. 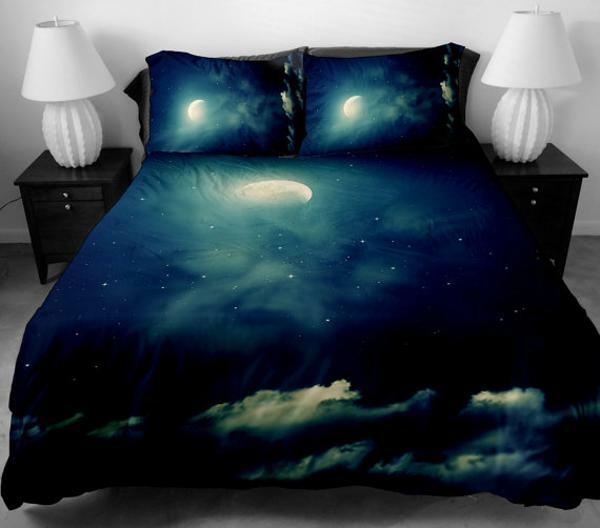 Images of stars and galaxies, planets and satellites on pillows and sheets create a fabulous place to dream and connect bedroom decor with the cosmos space. 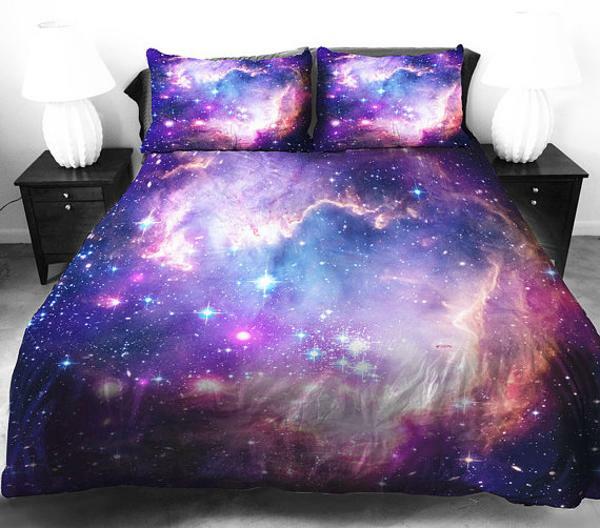 These bedding sets are excellent gift ideas for all space travelers and astronauts. Cosmos inspired bedroom decor theme is interesting, fresh and intellectual. Centered around the Cosmos, its mystery, size and beauty, colorful bedding fabrics and linen sets connect the present and future, bringing adventurous mood into bedroom decorating. The cosmos is infinite. It has no beginning or end. It contracts and expands because it is alive just like a human being. 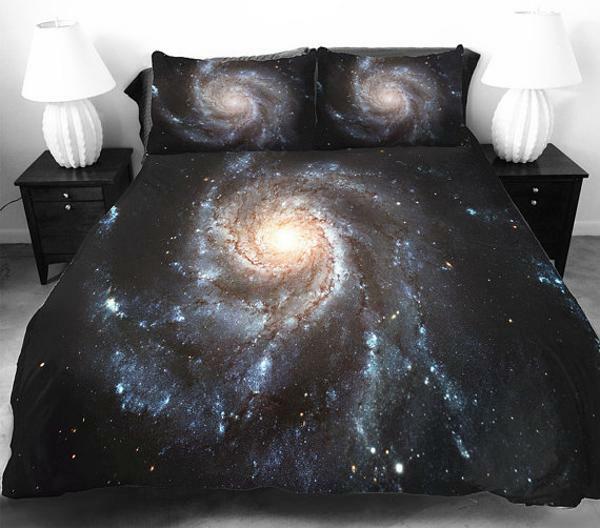 The space philosophy and gorgeous color combinations create fabulous bedding sets that can attractively compliment any cosmos bedroom decor theme.